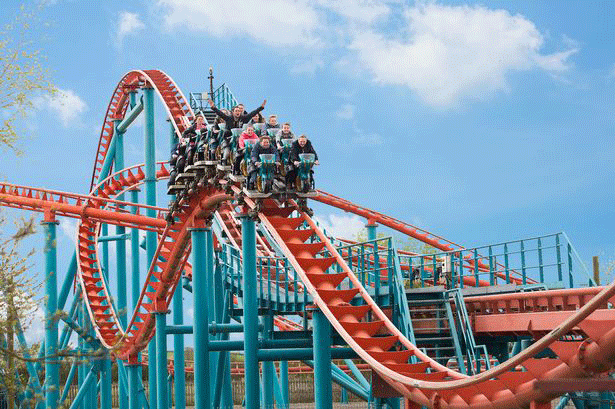 Flamingo Land is one of the few Theme Parks in Yorkshire. It was first created in 1959, by Edwin Pentland Hick, who had made his fortune with a cinema chain. After selling his empire, he purchased a country club with the intention of creating a zoo which would be named “The Yorkshire Zoological Gardens.” The first animals to be featured, were a colony of Flamingos, it’s from this that the name Flamingo Land comes from! Over the years, the park developed, adding new rides and attractions into the park which we find today. Hero – A Flying Coaster which was opened in 2013. Pterodactyl – A Vertical Swing which was installed in the new “Dino-Stone Park” in time for the 2013 season. Mumbo Jumbo – A roller coaster which once held the world record for steepest drop – Opened in 2009. 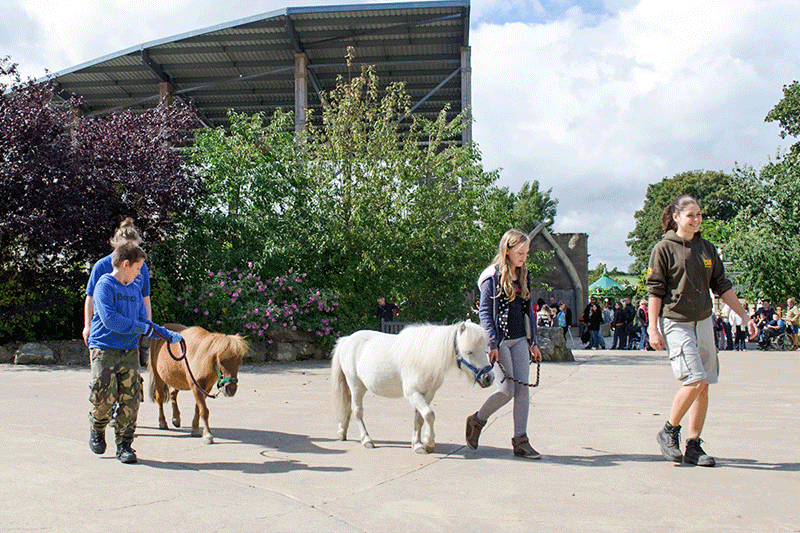 Flamingo Land houses over 1,00 animals, including Camels, Brazilian Tapirs, Zebras, Hippos, Giraffes, Lions, Tigers and many others. They take part in breeding programmes to help endangered animals. They have a wide range of African Animals housed here. When is it open and how much does it cost? Flamingo Land is open from March through to November. At the time of writing, a general admission ticket costs £40 per person, and a Family Ticket is £125. There are often discounts available online though, so make sure you check before booking. This gives you access to both the rides and zoo. Flamingo Land is located at: Kirby Misperton, Malton YO17 6UX. What Food Is Yorkshire Famous For?